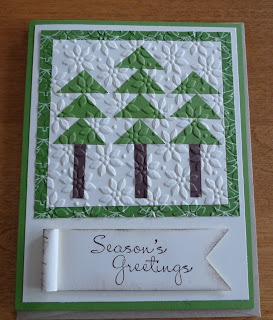 Karina's Kreations: Stampin'Up Quilted Card! There's still 4 more days of the Online Extravaganza Sale! 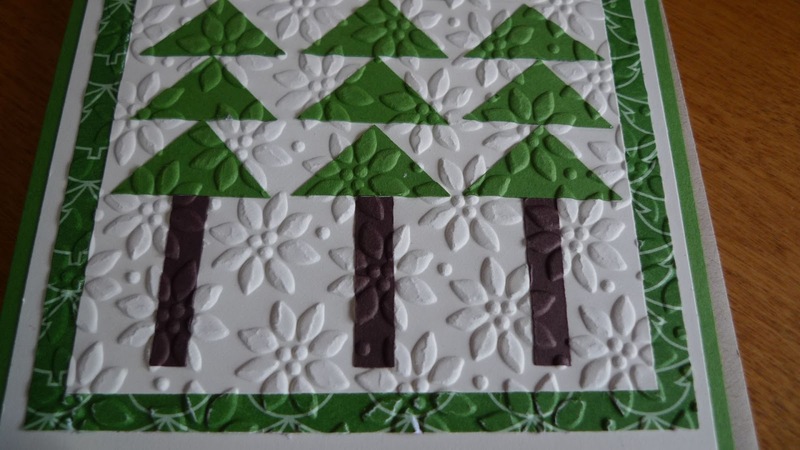 I was going to stamp a card using products that are on sale but Bella just showed me this card using the 1" square punch. Isn't it beautiful? 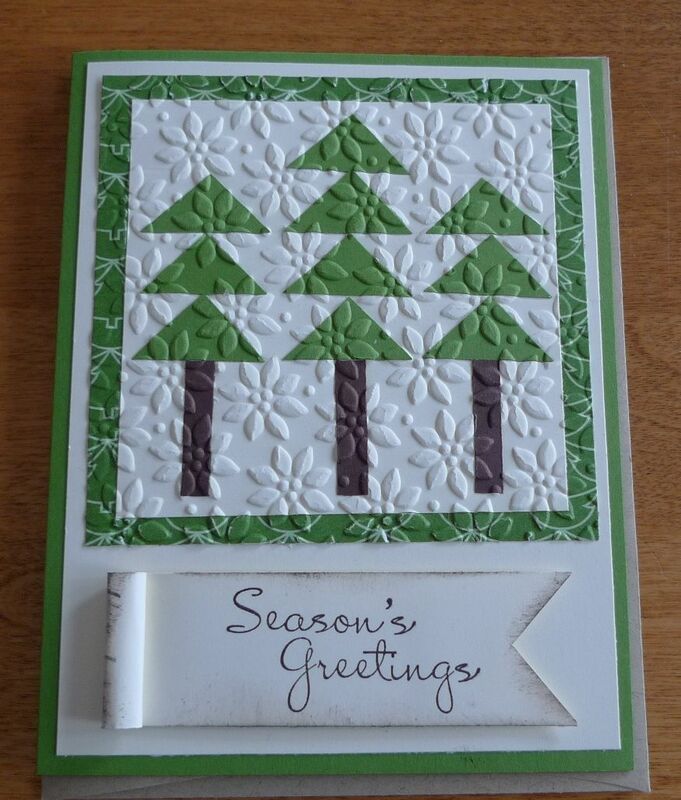 She cut the 1" square punch in half to make the trees and YES the 1" square punch #124094 is on sale for $15.37. 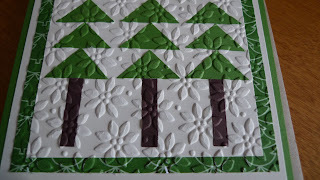 Plus the Designer Series Paper Be of Good Cheer is on sale too for $10.80. Thanks Bella! I love it!! !